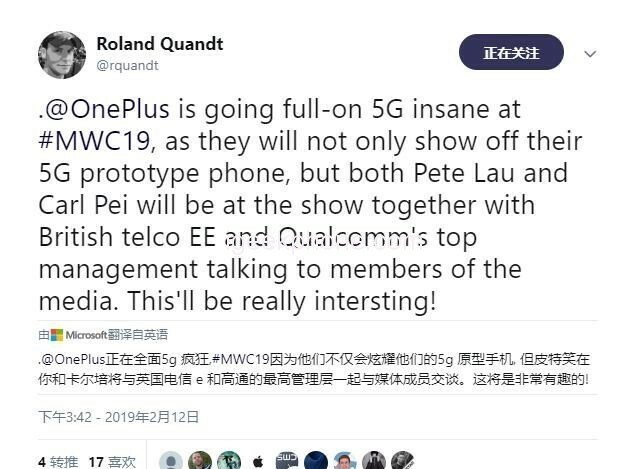 Twitter famous Roland Quandt revealed that OnePlus will show its 5G prototype on MWC2019, and one plus founder and CEO Liu Zuohu, one plus co-founder Carl Pei will go Barcelona negotiated with BT and Qualcomm’s senior management. As early as last October, Liu Zuohu released the “first 5G Twitter” to show some of the results of the one plus 5G experimental project. 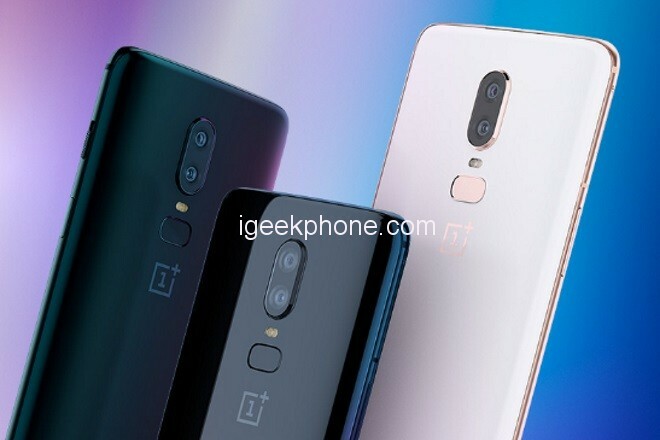 The one plus 5G project started in 2016, and in June 2017, Qualcomm was pulled into the project. 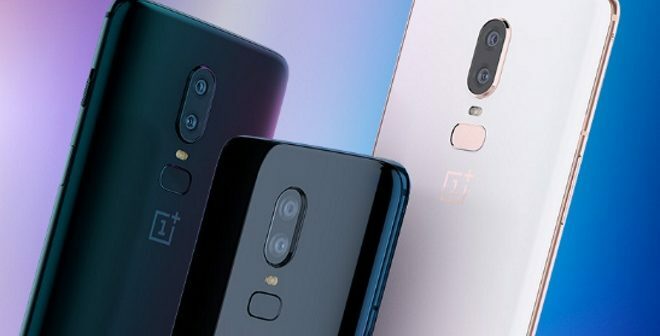 In June 2018, a 5G Lab (OnePlus 5G Lab) was established and a 5G call was realized in August. Liu Zuohu once said that the company is continuously increasing its investment in 5G and deepening cooperation with Qualcomm and operators. It is expected to release its first 5G commercial mobile phone in Europe this year. For the first 5G mobile phone of the company, Liu Zuohu said in an interview with foreign media that a 5G mobile phone may cost 200 to 300 dollars more than a 6T. At the same time, Liu Zuohu said that he would not expect to have a “huge” sales volume for his first 5G mobile phone. Other manufacturers, such as Huawei, Xiaomi, vivo, and OPPO, have also released relevant information on the development of their own 5G equipment, and related equipment will be released in the year. Moreover, the three major operators are also preparing to conduct commercial trials of 5G networks this year. Therefore, consumers can take advantage of 5G networks this year, both in terms of terminals and networks. But, in the first year of commercial 5G networks, just as Liuzuo Hu said, 5G phone’s price will be high, the power and as problem consumption, etc. are also carried out extensive consumer testing. Previous ArticleXiaomi is That Officially Announce The MIUI 11 Adaptation Plan?